I’ve been living in New Mexico for a little over two years now. When I lived in Missouri I never followed local politics very much. Here it’s hard not to. The county where I currently live, San Juan County, is probably one of the most conservative counties in the entire nation, and my father in law, a staunch conservative himself, used to own the local newspaper. Needless to say, this makes for some very interesting table talk! Full disclosure, I voted for Governor Martinez this last election (who, by the way, is the nation’s first Latina Governor). The choice was between Susana Martinez, a Republican and Dianne Denish, a Democrat. I literally went online and read for hours everything I could about the two candidates to make my decision. They both seemed to be highly qualified, but in the end I was persuaded by the argument that Martinez would end the “pay to play” politics associated (right or wrong) with the previous administration. I fully realize that I and the people of New Mexico could have been duped by the newspapers, which is why if I do vote in elections (and that’s a big if) I always take my vote with a grain of salt. I don’t believe that ministers of the gospel should endorse candidates, but that doesn’t mean that we can’t give “honor to whom honor is due” from time to time. So while I hope that I’m not violating my own principles here, let me give you a few reasons why I like our Republican Governor Susana Martinez. 1. Governor Martinez has recused herself from the state investment board, a crucial step in ending “pay to play” politics. 2. 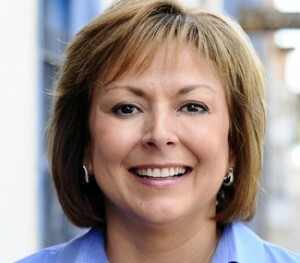 When Governor Martinez was criticized for ordering the state police to report undocumented workers arrested for violent crimes to the federal immigration authorities, Governor Martinez went on a P.R. campaign encouraging New Mexico’s women to report domestic abuse, assuring them that they need not fear the immigration police. That tells me that, whether you agree with her decision or not, the governor is at least trying to do the right thing to protect New Mexico citizens. 3. While the Governor is indeed, a fiscal conservative, Martinez has made it clear that education and health care should not be on the chopping block in order to balance the state’s budget. In a strange role reversal, she’s actually fighting the democrats to include more funding for these priorities in her proposed 2012 budget. I’ll be honest, I’ve been pretty disgusted with the callousness of our national discourse, how so many politicians, including Democrats, seem all too eager to balance state and federal budgets on the backs of the poor. It seems to me that New Mexico’s newest Republican Governor may represent a more compassionate conservativism. This doesn’t meant that I agree with all of Governor Martinez’s political positions. What it does mean is that sometimes I have to look inside my heart and ask the Lord to forgive me for a certain type of prejudice that, if I’m not careful, can be just as corrupting as any other type of prejudice. I watched Invictus for the second time last weekend. 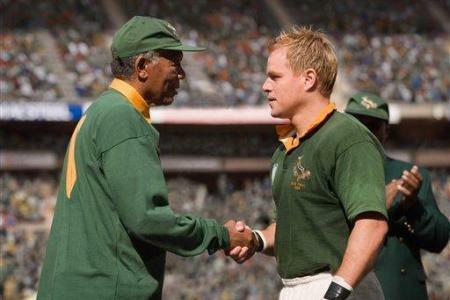 The movie depicts the newly-elected South African president Nelson Mandela and his struggle to rally the nation around the mostly white national Rugby team, which at the time was a symbol of Apartheid for many black South Africans. Very few of Mandela’s friends and allies agreed with his decision to lend his moral support to the national Rugby team, but like all good leaders, Mandela stood firm. Because of Mandela’s moral courage, a divided nation became united. In one of the greatest snapshots of grace this side of heaven, the film depicts blacks and white standing side by side to sing South Africa’s national anthem at the World Cup. If you’ve read my book Alone with a Jihadist, you’ll know that I’m a pretty fierce critic of nationalism, especially when nationalism mixes with religion. When we wrap Jesus in an American flag and ask him to bless our bombs, we may be acting like good Americans, but we’re not acting like very good Christians. For my Anabaptist, Sojourners- loving, progressive evangelical friends, I’m guessing that’s pretty much old news. No nation embodies Kingdom values because the Kingdom of God is entirely other-wordly, as Jesus, our enemy-loving, foot-washing Savior teaches us. Now that we’ve established that, perhaps we should be asking new questions now, like can nationalism ever be a good thing? One of the reasons why democracy hasn’t worked out so well in many sub-Saharan African nations is because many people prefer tribalism over nationalism. An African president gets elected and he looks out mostly for the interests of his tribe, not the interests of the nation as a whole, at least that’s the way the other tribes almost always see it. The same is true for religion. As Eliza Griswold points out in her book The Tenth Parallel, many nations on the 10th degree of what missiologists call the 10/40 Window are evenly divided between Muslims and Christians. When these nations elect their political leaders, the leader is almost always, rightly or wrongly, viewed as looking out for the interests of his or her religious group. The unfortunate consequence is that democracy is viewed as a way to enrich a select few from a dominant tribe or religion, while leaving the rest of the people to squabble over the remaining crumbs. Perhaps a healthy dose of nationalism could be the cure? Take what’s happening in Egypt as an example. As Reza Aslan has pointed out in a recent post, many Egyptian youth are countering the Muslim Brotherhood chant “Islam is the solution” with “Christians and Muslims, we are all Egyptians.” When love of nation surpasses religious tribalism, that to me is a healthy nationalism. Which brings me to my next question. If nationalism can sometimes be a good thing (especially when it overrides woes like tribalism and racism), what are some ways that followers of Jesus can direct nationalism towards positive ends? Could a healthy nationalism be what it takes to convince U.S. businesses sitting on 2 trillion dollars of cash to hire American workers rather than shipping those same jobs overseas? Or what if the movement to abolish nuclear weapons received a groundswell of support based on the idea that “We’re Americans. We should be the moral leaders of the world.” My mind is spinning here: torture, comprehensive immigration reform, racial inequities. Could nationalism done right affect the moral outcomes of these debates? If so. How? The current crisis in Egypt is challenging for Christians and they are calling on the church in the West to unite in prayer with them for the future of their country. Dr. Carl Moeller, president/CEO of Open Doors USA says, “The events of recent days show that while the majority of Egyptians support the existence of the Coptic church, many more Muslim Egyptians, while not militant, are religiously opposed to those who convert from Islam to Christianity. Muslim Background Believers continue to face widespread hostility simply for wanting to exercise religious freedom and change their religion from Islam to Christianity.